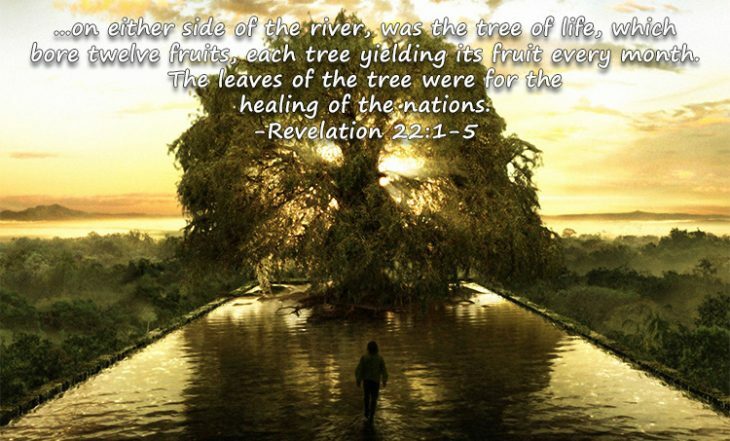 Look at Jesus as the Tree of Life… He bears twelve manner of fruits, that is, all variety: He hath pardon, mercy, peace, grace, love, strength, comfort, deliverance in temptations, recoveries in back-slidings, helps in times of need, preparation for ordinances, and blessings in the use of them. Regardless of their identity, I believe the nations on the New Earth will be in bodies that are capable of reproduction because the Bible says that there will never be any end to the growth and expansion of Jesus’ eternal kingdom (Isaiah 9:6-7). 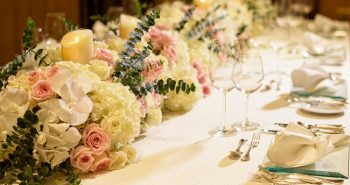 We are also told that those of us who receive glorified bodies and whose residence will be the New Jerusalem will reign as priests and kings with Jesus forever (Revelation 5:9-10). To do so requires a population for us to minister to and to reign over. The major problem I am left with is whether or not the nations on the New Earth will be capable of sinning. Most commentators believe they will not, and they have good reasons for believing this. Again, the Bible says the “wages of sin is death” (Romans 6:23), and the Scriptures also tell us that in the Eternal State death will be abolished (1 Corinthians 15:25-26 and Revelation 21:4). 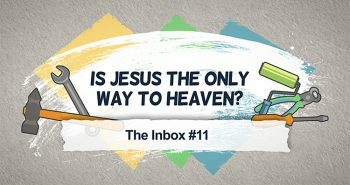 Next PostThe Inbox: Is Jesus the Only Way to Heaven? I believe that we can blame at least one of those Mysteries on the Chapter Break Guy from the 1200’s AD. Looks like he put the Chapter Break between Chap 20 and 21 in the wrong place….. I agree that in Rev 21:1 the “new heavens and new earth” is same wording as Isa 65:17. However a new element is added that states the First heaven and earth has passed away. This “passed away” element is not in Isa. 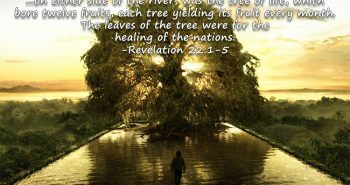 I feel that Rev 20:7 thru Rev 21:8 is talking about the end of the MK and a little about Post-MK and therefore finishes the story of satan being tossed & the GWT events. A) No Seas – Yet Ezek’s division of land in the MK clearly states Med Sea as a boundary. Also stream of Living Water flows from Jerusalem to Med & Dead Seas during MK. There has just gotta be Seas during the MK. B) No Death – Yet there will be death in MK even among the Priests. C) No Mourning, Crying, Pain – Since there is death in MK this can’t apply. D) City has different name — “New” Jerusalem of Rev 21:1-8 verses “Holy City” Jerusalem of Rev 21:10. Looks to me that the Chapter Division Guy has definately struck again. Looks like the Chap Division really should be 9 verses later at Rev 21:9 where the angel who finished emptying bowls (referring us back to the End of Trib time frame) takes John to see the Holy City Jerusalem (not “New”) coming down from Heaven. Therefore John’s vision of the end of the Millennium continues from Rev 20:7 till Rev 21:8. 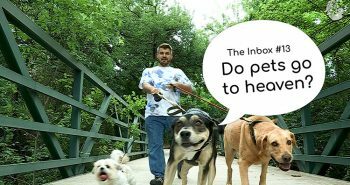 This story is kept in one piece so as to avoid interrupting the story of what happens to satan and all those that followed him and on into eternity. Everybody agrees that there is a time shift from the end of the MK/GWT back to the beginning of the MK. Some feel that the time shift is at the Chapter Break. But these chapter breaks are artificial and were added somewhere in the 1200’s. A more logical and scriptural time shift is after the prophecy of the wrap up the fate of satan and the MK/GWT and the beginning of Eternity, John is then brought back to the end of the Trib at Rev 21:9 by reference to the angel with the bowls which begins a section that definitely describes the MK in that the need for healing of the nations is described which is contrary to the Rev 21:4 description as well as the non-possibility of unclean entering the Holy City which wouldn’t even need a statement describing it in Eternity. There are many items that show that John is describing the MK with these verses. Does not make sense that these items would be in Eternity. Dr. Reagan I agree with you and would add this. Satan and his will be in chains and then released for a final assault. During that time of incarceration he will not be able to influence humanity in the millennial kingdom. Those that remain and are borne maintain our Adamic sin nature making sin possible just less probable. This also fits nicely with the separating of the sheep and goats in Matt hence the nations are re-created as AC will be a globalist.